There are two plans in Worka based on the type of payment. These are monthly and annually. Annual payment rewards you with a 33% discount compared to paying a full year with a monthly rate but it does not allow you to opt out of your contract until the end of that period. If you want to move from one plan to another, visit Account>Plans and press the “Change plan” button. Confirmation will be required to change your plan. Worka allows you to switch plans with ease. However, once you switch plans the credit that you have already paid will remain in your account and the account will switch immediately to the new plan, prorating the rest of the month/year and starting to charge you the new fee from that moment. You are paying a monthly plan and you want to switch to annual. You switch the 15th day of the month. As you have already paid $12 for the month and you have consumed the 50% of your month, $6 have been accrued. 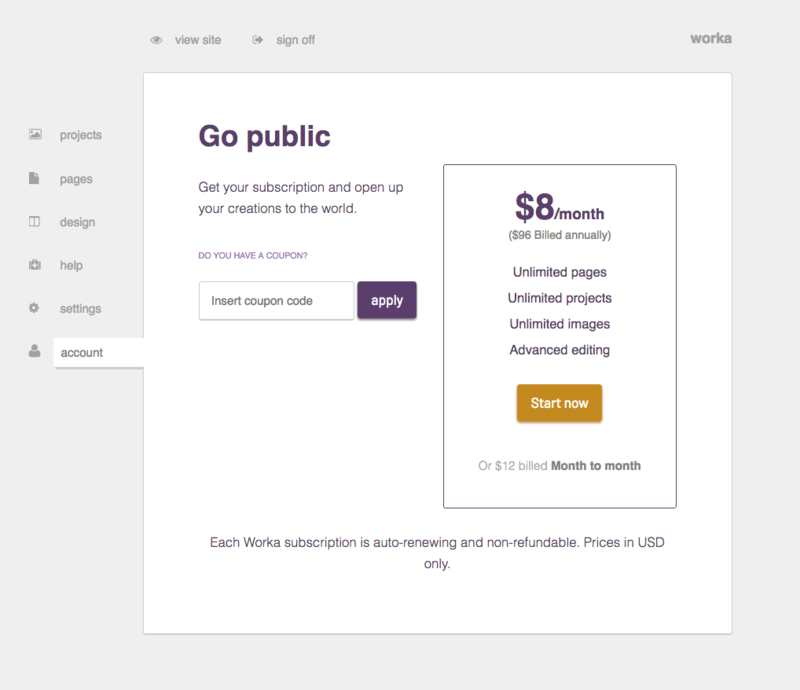 From that moment on, the plan will switch to $8 per month so you will pay $4 for the remaining half of the month.